PCHC’s “Family History with a Smartphone” workshop series is concluding! During this workshop series, we have reached out to community members with the desire to preserve the stories of their elders, family members, and loved ones, and have taught them new techniques on how to compose stories, film oral histories, and edit footage. We hope you have been inspired to create oral histories so that the stories of your elders and loved ones can can be exhibited as an heirloom for generations to come. 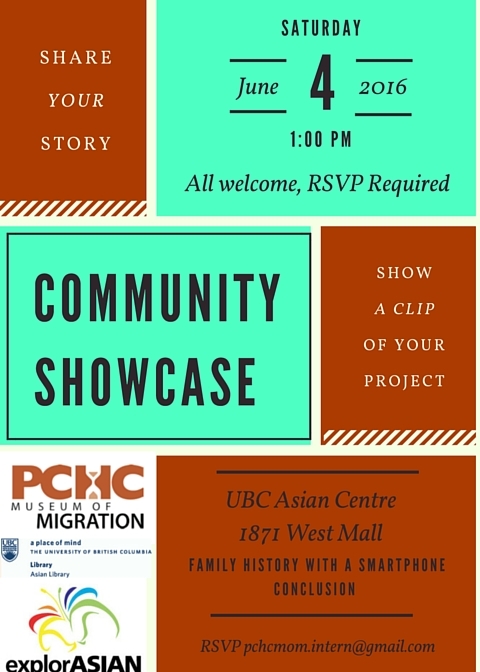 Now, we invite you to join us on Saturday, June 4th at 1:00pm at the UBC Asian Centre (1871 West Mall) for a concluding Community Showcase! There, you will be able to receive certificates of completion, partake in treats and refreshments, and be able to share your experiences with fellow participants and offer suggestions for future workshops! Come for a last gathering to discuss your projects with each other and to help each other to improve your stories. We will be offering the opportunity to share a clip of your work-in-progress project or to personally discuss and share your story with the group and receive feedback. Our Community Showcase is open to all — if you attended our first workshop, our second, or none at all, we hope you will all to come share your stories and learn more about preserving family stories for future generations. Please email <pchcmom.intern@gmail.com> if you would like a certificate of completion for having attended the workshop series. 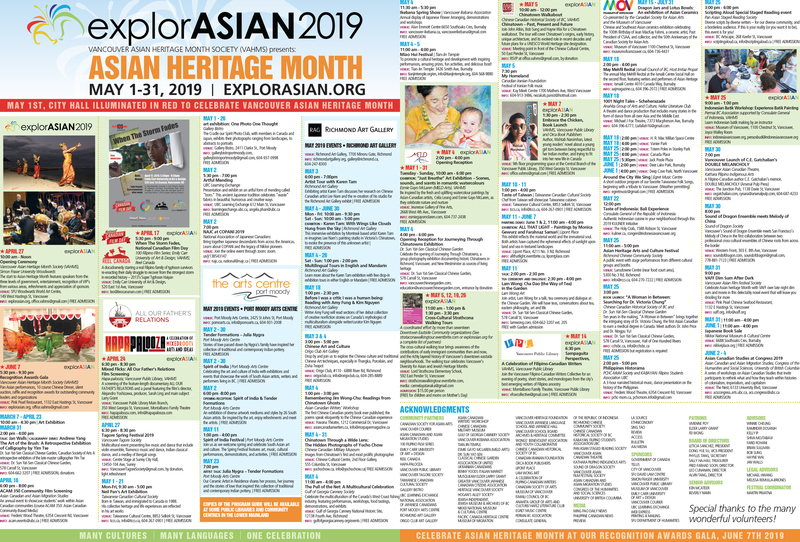 PCHC’s Family History with a Smartphone series is produced in partnership with the UBC Asian Library and is a part of explorASIAN. Tags: explorASIAN 2016, migration, PCHC-MoM, UBC Asian Library. Bookmark the permalink.